Studyflix is an e-learning start-up – by students for students. Studyflix.de strives to explain complex subjects through simple and practical videos – free of charge. Their animated and professionally designed learning videos convey knowledge relevant to the disciplines of economics, mechanical engineering, industrial engineering, (economic) computer science, electrical engineering, mathematics and chemistry. All in all, nearly 2,000 videos provide more than 100 hours of concentrated knowledge. Essential for Studyflix is high availability of the web application, for content to be easily findable by their target audience, and to be conveniently accessible on the go. In September 2018, Makandra was commissioned with an overall technical redevelopment and visual re-design of Studyflix. The desired launch date was mid-January 2019. Working together with the Studyflix team, makandra analyzed all new requirements and processes in a multi-day workshop, remodeled workflows and conceptually redesigned the entire web application. During development, our developers relied on Ruby on Rails in an agile project environment. This way, stories could be implemented interactively and quickly, one at a time. 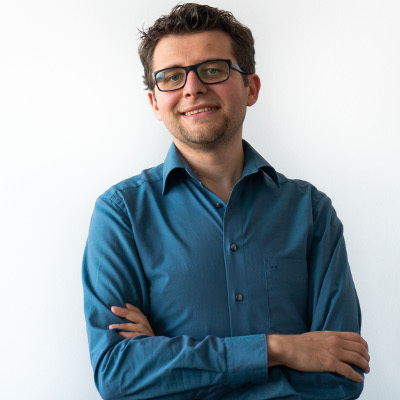 For the development of the design, Dominik Weiss was won as an experienced graphic designer and user experience expert. The website has been developed with responsive design in mind and can be used on mobile devices without any issues. Transfer of the customer’s existing data into a new data structure and the integration of a video transcoding CDN (Content Delivery Network) succeeded smoothly. Our automated tests help to keep the application error-free even with future development, thereby enabling a constantly high pace of development. Within a very short timeframe, makandra has managed to translate customer requirements 1 to 1 into a state of the art web application. Studyflix’ target launch date of January 2019 was not only met by makandra, but results have even been delivered 4 weeks ahead of schedule. An up-to-date e-learning platform that catches the eye. Studyflix' new look has been designed specifically to meet the needs of its users, every aspect of its design is functionally and visually focussed on the requirements of a great user experience. Also, all of the existing content has been migrated successfully. The new application was specially developed with search engine optimization in mind and the target group should have no problems finding their desired content. makandra GmbH accompanied us on the relaunch of the e-learning platform Studyflix - only about three months passed from joint development of the concept to the relaunch of the complete platform. In addition to the quick implementation, the quality of the work was excellent and the cooperation was always trusting. We can definitely recommend makandra! Availability and safety of all data was a major requirement for the client. The entire environment is running on makandra's high-availability infrastructure in a data center in Germany. By consistently configuring all components for redundancy, we make sure all data is safe and that the application is always available.